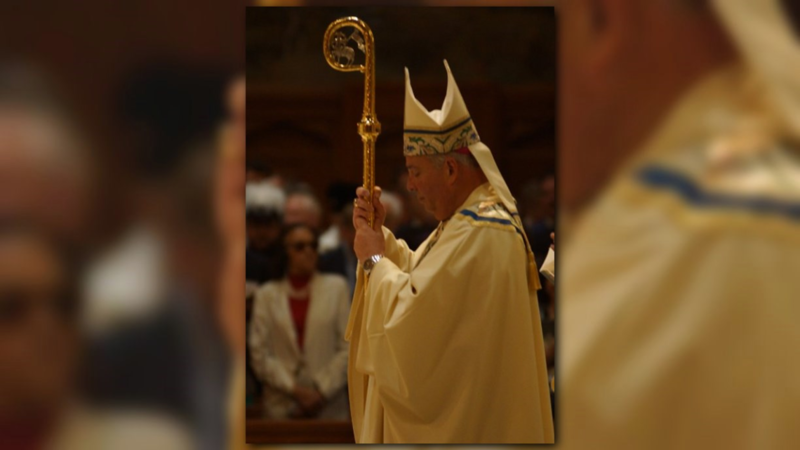 Bishop Nelson Perez now becomes the leader of nearly 700,000 Catholics in Northeast Ohio. “Somos el Cuerpo de Cristo,” which translates to “We are the Body of Christ,” was sung Tuesday as Bishop Nelson Perez greeted Catholics inside Saint John’s Cathedral in downtown Cleveland. During his installation mass, Perez became the diocese’ 11th bishop and the first of Latin descent. He used his time at the pulpit to pray for victims in Texas and to praise Ohio’s Catholic and cultural history. “You come here from many countries, each with the beauty of your language and culture,” he said. The bishop also made clear that he has no clear plan for diocese. He also said he wants a church that takes initiative to meet people “where they are” and that he looks forward to connecting with young people. Ceremonies such as this only happen a few times in a generation, as celebrants included Bishops Pilla, Lennon and Thomas. Bishop Perez now becomes the leader of nearly 700,000 Catholics in Northeast Ohio.